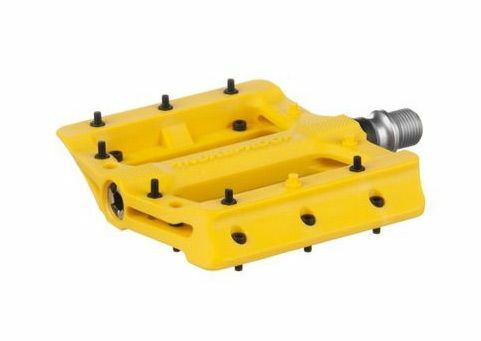 The Nukeproof pedal range has been extensively engineered to offer the optimum balance of strength and fatigue resistance with minimum weight penalty. The low-profile parallelogram design offers maximum ground clearance and features a deep concave which allows the foot to “sit in” the pedal which improves grip and comfort. 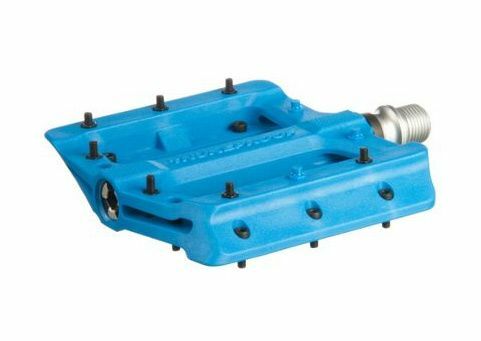 All pedals feature replaceable pins and our Proton and Neutron platforms allow you to adjust the pin height in order to customise the level of grip to meet your own requirements. 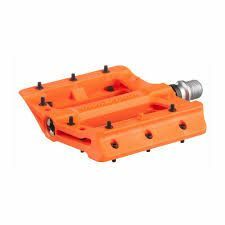 Each pedal body spins on high quality DU bushings with two sealed cartridge bearings per pedal to help spread the stress loads from heavy impacts. Meanwhile a lip seal between the axle end and pedal body helps to reduce ingress of water and dirt prolonging pedal life between services. 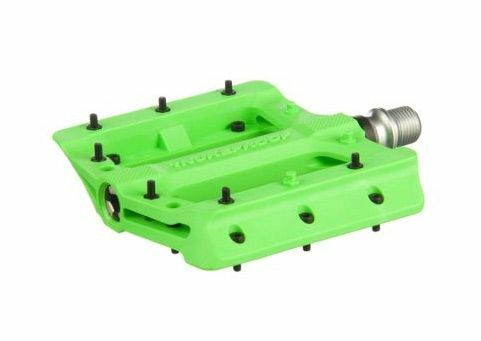 NB If for any reason stocklevels are low on this pedal youy will automatically receive an upgrade to the new improved quality Nukeproof Horizon Pedal (SRP £40) at no extra cost to you!